Today is the day I've been waiting for! The inaugural Disnelyand Paris Half Marathon Weekend Medals have been released! 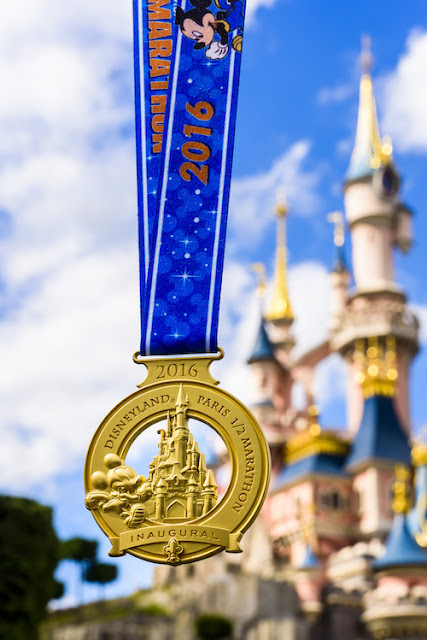 During the 2015 runDisney Princess Half Marathon, they announced the inaugural Disneyland Paris Half Marathon. This would be runDisney's first international event. My friend Nicole and I instantly started listening intently. When they mentioned the dates, September 24-26, we both got starry eyed. That is my anniversary weekend and it will be the weekend following Nicole's wedding. SOOOO it was a no-brainer. In less than two months, my husband Gabe and I will be heading back to Paris, where we kicked off our honeymoon two years ago to run the inaugural Disneyland Paris Half Marathon. We will meet up with Nicole and her brand new husband - and crash their honeymoon for a few days! 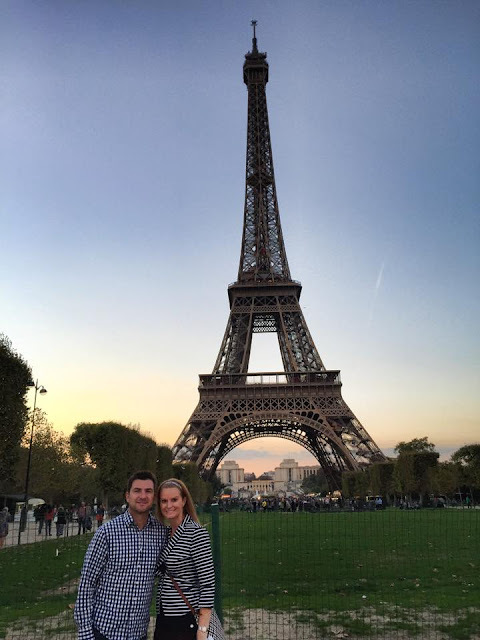 Gabe and I will also be spending our second anniversary in Paris! After spending 5 nights in Paris, Gabe and I will head over to Amsterdam for a few days. We cannot wait. The runDisney Paris medals are PERFECT - but it's the fleur de lis on both the Castle to Château and the Half Marathon that made me squeal (literally). We got married in New Orleans and we have fleur de lis all throughout our house. It's a special symbol that means so much to us. The Disneyland Paris Half Marathon medals were released today and they blew my expectations away! Let's chat about the big dog first - the Castle to Château which is what pushed me to sign up and take this trip. 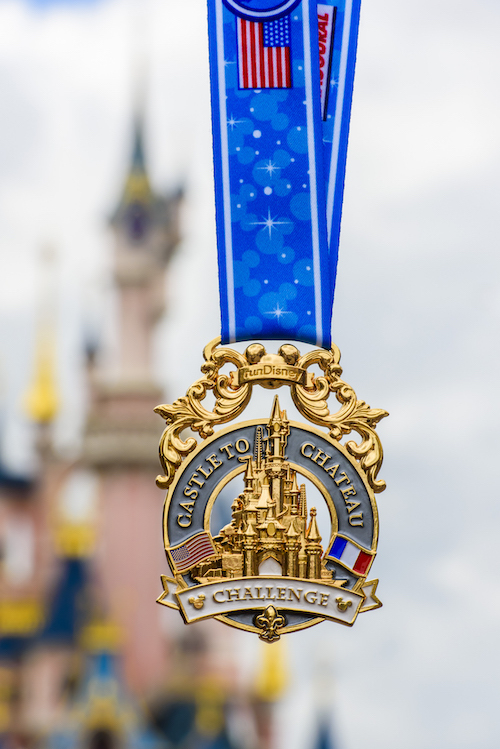 This challenge combines a race in the United States, either at Disneyland Resort or Walt Disney World, and a race in the heart of Disneyland Paris. This will be my FIRST Castle to Castle medal and I squealed when I saw it. The "Castle to Château" medal features the unique design of the French park's icon. The two countries’ flags symbolize the extraordinary feat and French-style gilding highlights the prestige of achieving this challenge. 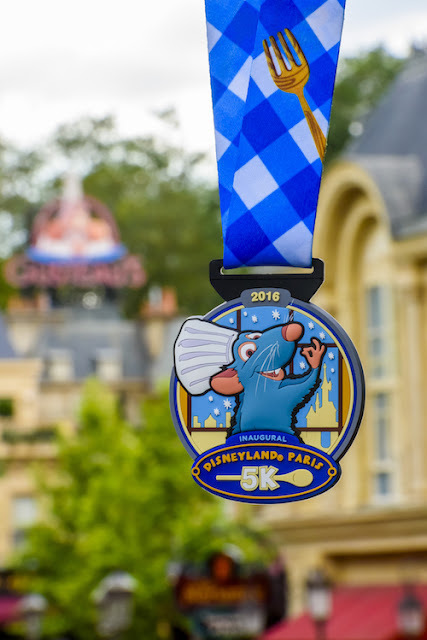 Runners who have completed the half-marathon both at Disneyland Paris and in one of the runDisney races at Disneyland Resort California or Walt Disney World Florida in the same calendar year will be awarded this additional medal. The Disneyland Paris Half Marathon Medal reminds me a great deal of the Disney World Marathon and Disneyland Half Marathon Medal's mixed into one! The Half Marathon medal gives pride of place to Mickey, who proudly takes on the challenge of the route around Sleeping Beauty Castle. This gold medal with fleur de lys detail is both magical and prestigious. The Disneyland 5K medal may be the cutest 5k medal Disney has ever produce and I seriously regret not signing up for it. REMY! Proud of the success of his tasty attraction, the hero of Ratatouille takes pride of place on the first Disneyland Paris 5K medal. Finally, the runDisney kids race features Mickey! 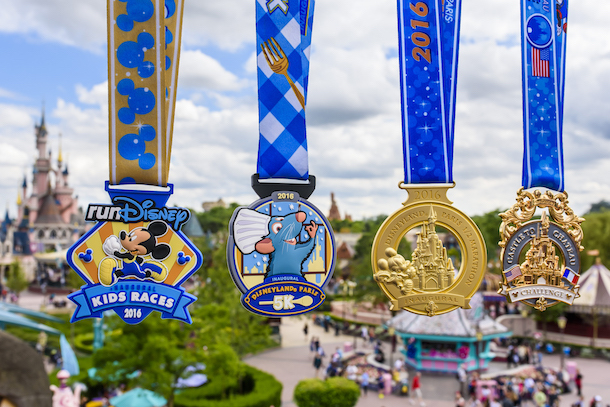 For the weekend's youngest runners, Mickey is in great shape and full color for his appearance on this medal! 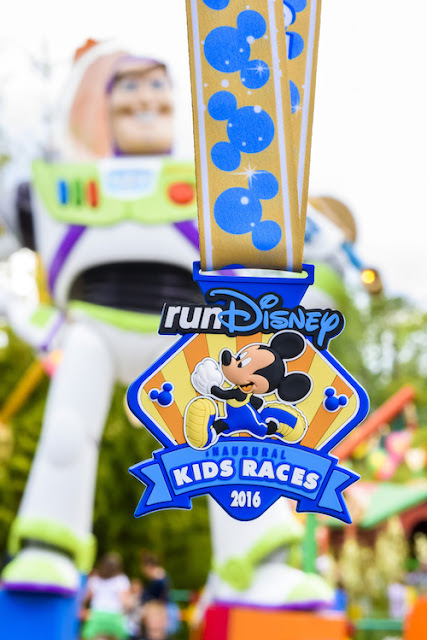 The ideal reward for little participants in the special runDisney kids races. Make sure you follow runDisney on Facebook, Twitter, YouTube and Instagram as we share more about this exciting event. For more information on the inaugural Disneyland Paris Half Marathon Weekend click here!